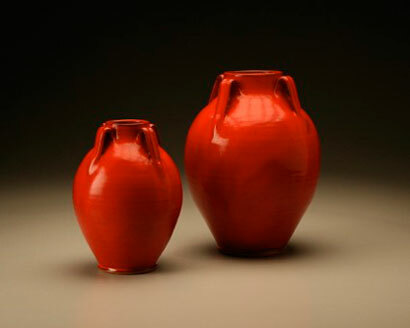 The North Carolina Pottery Center in Seagrove, NC, “for people who love the potter’s craft” is supporting American Craft Week, Oct. 5 – 14, 2012. In honor and recognition of this important statewide craft the Center will have free admission during this time frame. It is the mission of the North Carolina Pottery Center to promote public awareness and appreciation of the history, heritage, and ongoing tradition of pottery-making in North Carolina through educational programs, public services, collection and preservation. 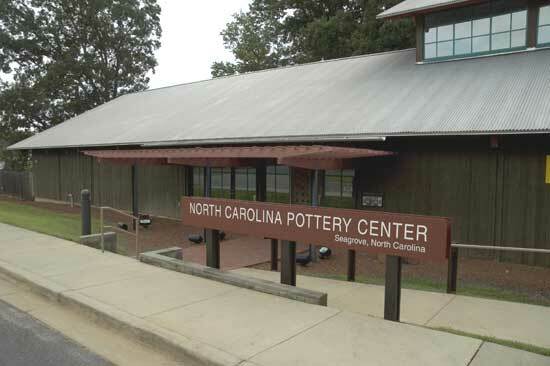 The North Carolina Pottery Center is your first stop in exploring our state’s deep heritage in pottery. Located in Seagrove, one of the state’s key pottery centers, the North Carolina Pottery Center offers a variety of exhibits and activities that will delight the novice and enthusiast alike. 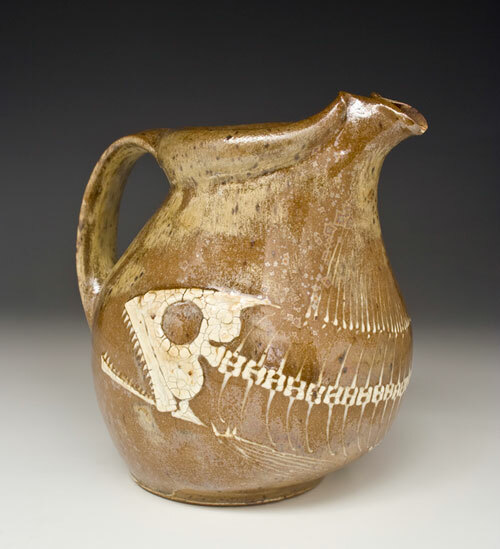 Permanent exhibits trace the history of NC Pottery from the Native Americans to the present. Changing exhibits focus on topics of both historic and contemporary work by the state’s potters. Displays and information will help you find your way to the potteries of Seagrove and around the state. 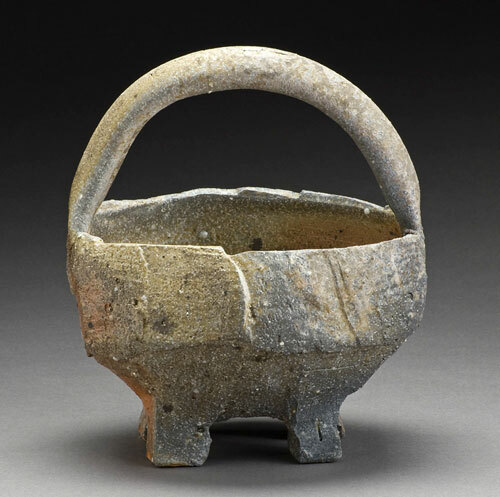 The current exhibit on display during American Craft Week is “The Collector’s Eye II: Seven Perspectives”, which features approximately 140 pots from seven female collectors and contains examples of the very best of their collections. On Saturdays, a local potter gives day-long demonstrations in the Center’s Education Building. The NCPC is a private nonprofit entity, funded primarily through memberships, grants, admissions, and appropriations. The Center is open, Tue. – Sat., 10am-4pm. Admission (excluding free special events): $2 – adults, $1 – students 9th through 12th grades, Free – children through 8th grade, free – NCPC members. Handicap accessible. Groups and tours welcomed. 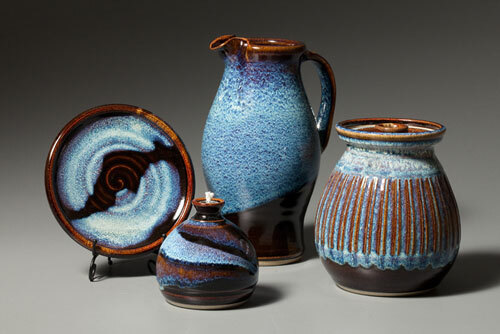 For further information and details call 336/873-8430 or visit (www.NCPotteryCenter.org). If you’re like Linda and I, and millions of others – you got stuck working this weekend, but we’re making plans for a big weekend – next weekend. And it is a big Memorial Day weekend. That’s three days for most people – unfortunately for Linda and I – it’s back to work on Monday – the holiday. In reality – we’ll be working a lot that weekend too – as it’s the weekend after deadline for our June issue – drat! That’s the way it’s been for 24 years since we started doing an arts newspaper. On the weekend of our wedding anniversary and my birthday, we’re stuck working to get another paper finished. It’s hard to work 24 hours a day, although it seems sometimes we try – here’s a few things we hope to do this next weekend. We hope to have a nice anniversary/birthday dinner, see the Avengers movie, make a trip to Seagrove, NC, to visit with some of our favorite potters, and hopefully celebrate Memorial Day with a few friends. Oh yeah, and get the paper done or almost done. This one may go down to the wire. Now everyone knows about the Avengers and Memorial Day and one clue on the anniversary/birthday event is that they add up to 94, so let me tell you about what’s going on in Seagrove to draw us there on such a big weekend. Of course, if you read about a lot of this on Pages 38 and 39 of our May 2012 issue of Carolina Arts, downloadable at (http://www.carolinaarts.com/512/512carolinaarts.pdf), you’d know what I’m talking about, but for those who haven’t – here’s a few reasons. First, it’s a trip away from the house, yard, and computer into another state. That’s always a plus and it only takes a few hours to get there. Second, it’s Seagrove – a beautiful area of gently rolling hills that just happens to be one of the Southeast’s major artist colonies – a big plus for Linda who refuses to travel on the Blue Ridge Parkway – a major highway. So forget about driving around two-lane mountain roads. Third, it’s Cousin in Clay weekend, several other kiln openings on Saturday and there’s a new exhibit on view at the NC Pottery Center. Bulldog Pottery, located at 3306 Hwy. 220, just outside of “downtown” Seagrove will be presenting the works of five talented potters during the annual “Cousins in Clay” event on May 26, 10am-5pm and May 27, 10am-4pm. Bulldog potters, Bruce Gholson and Samantha Henneke, joined by their mountain “clay cousin” Michael Kline of Bakersville, NC, are hosting two special guest potters, Ron Meyers, an icon of American ceramics from Athens, GA, and Judith Duff, a full-time studio potter from Brevard, NC. Live music will fill the air with Chronis Pou Vasiliou (Bruce’s brother-in-law) of Greensboro, NC, playing his enchanting Greek Bouzouki music along with musician Matthew Beasley from Asheville, NC. Music begins at noon and lasts throughout Saturday afternoon with a light buffet. Michael Kline will present brushwork demonstrations on Saturday at 2pm and on Sunday at 1:30pm. And Sunday at noon, potters and lovers of pots are all invited for a Potluck Buffet at noon. Gain insights into the work and activities of Samantha Henneke and Bruce Gholson at their pottery blog: “Around and About with Bulldog” at (www.bulldogpottery.blogspot.com). And take a look at the website (www.cousinsinclay.com) to learn more about this year’s guest potters. These kind of events are usually a less than free time for Max the mad wonder dog, but some might see him and get a chance to toss a red ball – once or a hundred times. And, as a bonus you might also get to chat with Ed or Gloria Henneke. A special note to Ed – I will not bring up the Michigan vs. Virginia Tech game, so there is no reason to make excuses to be out of town. For further information or directions you can call Bulldog pottery at 336/302-3469. 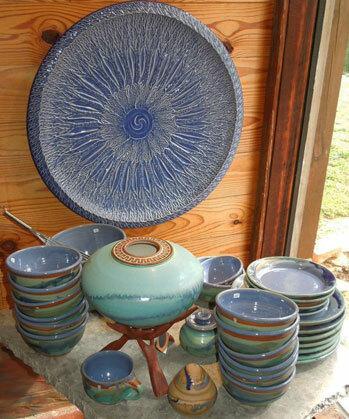 Whynot Pottery, located at 1013 Fork Creek Mill Road, also just outside of “downtown” Seagrove – home and work place of Mark and Meredith Heywood, will be having a Kiln Opening on Saturday, May 26, from 9am-5pm. I’ve read that this round includes the cider/beer mugs that many folks have been asking for as well as a selection of whimsical tiles from their new venture, Acacia Tile. But, I’m sure they have a good stock of other works they are known for on hand. Mark and Meredith are really shaking things up this year, so if you haven’t been there in a while – you’re going to see some new items and new looks. I’ll be looking to see if there will be any cookies. They have not been advertised – so don’t expect any, but it doesn’t hurt to hope. We all need hope. 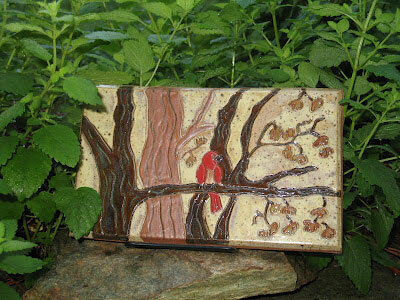 You can check out the Whynot Pottery’s blog at (http://whynotpotteryblog.blogspot.com/), call 336/873-9276 or visit (www.whynotpottery.com). Why are Bulldog Pottery and Whynot Pottery always a must see for us? Well, besides being blogging buddies, these two potteries have been our gateway and guide to the Seagrove pottery empire. They represent the “not so old” and “not so new” ends of that pottery community. And, like I’m sure most of the folks in Seagrove are – they’re nice people too. Plus, I hope you’ve noticed the images of the wonderful pottery they produce. Donna Craven Pottery, located at 2616 Old Cox Road, between Asheboro, NC, and Seagrove is also having a Kiln Opening on Saturday, May 26, from 9am to 5pm. We have not been to her pottery before, but we’ve seen her work at several of the Celebration of Seagrove Potters events and you’ll find her work in many museum collections. Maybe we’ll make it there this time, but there is always so much to see and do – time has a way of slipping by, but if you’re on the North side of Seagrove – it could be your first stop. I understand that Craven is firing a new load of pots in her wood kiln for this event. She will have a variety of old and new forms, both large and small, including items for the spring. For further info or directions call 336/629-8173. And, of course, who would go to Seagrove looking for pottery without stopping at the North Carolina Pottery Center, located at 233 East Avenue, in the heart of downtown Seagrove. The new exhibit there is, NC Student Ceramics Exhibit 1: High School, which will be on view through July 28, 2012. 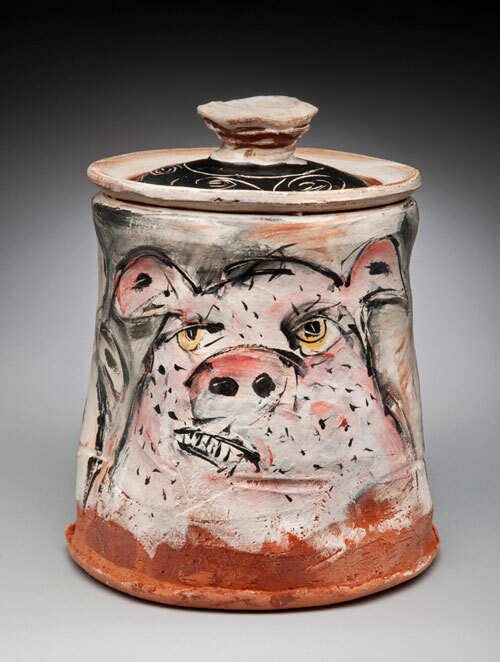 The NCPC is exhibiting the best of NC high school ceramics. The Center will be open Saturday, 10am-4pm. If it’s your first trip to Seagrove, I recommend it as a first stop as the Center also offers information on activities, maps and information about the potteries located in the Seagrove area and across the state. They also have a display of representative works from more than 90 area potteries and maps to help to find the potteries. For further info call the Center at 336/873-8430 or visit (www.ncpotterycenter.org). 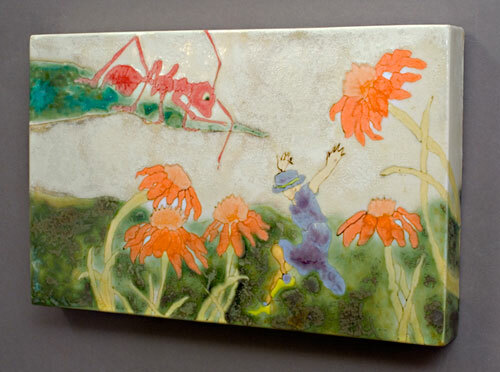 If you’re the planning type who has to have things all figured out before you arrive somewhere – let me suggest a visit to the Seagrove Area Potters Association’s website at (http://www.discoverseagrove.com/). You can download a map there and find connections and info about many of the area’s potteries. A lot of them will be open for business this weekend – you don’t have to follow our plans. There’s plenty to go around for everyone. On Saturday, May 12, 2012, from 10am to5pm, whether you are a pottery newbie or a seasoned collector, you’ll enjoy the Behind the Scenes Pottery Crawl and help out deserving children and families. Spend a fun-filled Saturday meeting the artists, touring their studios, and admiring their creations. Come check out 14 memorable potteries in a self-guided car tour. Each pottery will have a unique culinary delight with a wine pairing (beef tenderloin on rounds of French bread, shrimp served with remoulade and red sauces, open-faced pork sliders, an elegant almond torte, to name a few), and demonstrations focusing on different aspects of the craft – from shaping at the wheel, to glazing, to firing techniques. Or you can roll up your sleeves and make a pot yourself with the help of an expert. Last year’s participants were inspired by the beautiful countryside, the world class artistic talent of Seagrove, NC, and the unique way the featured artists live and work. The 2nd annual Behind the Scenes Pottery Crawl is organized by the Northern Moore Family Resource Center (The Resource Center) which is a 501 (c) (3) nonprofit organization established in 1996 to serve children and families in northern Moore County, NC. The area that The Resource Center serves has been decimated by the departure of manufacturing over the last 30 years and it has resulted in too many children living in poverty. The Resource Center helps at-risk children succeed academically by offering, among other things, after school programs and summer camps. The Resource Center is a United Way agency and their six-week free summer day camp is partially funded by the United Way. All proceeds from the Pottery Crawl will help children and strengthen local families. Potters will generously donate 15 percent of all sales during the event to the Resource Center. The Pottery Crawl is much more than a one dimensional art gallery experience. It’s a ‘Behind the Scenes’ look at how and where the art is created. It’s about the uniqueness of each individual potter. To visit the potters is to immerse oneself in their creative world. For them life and work are fused together by their artistry, as many live and work in the same environment. Often they live on winding country roads, and when you venture down them you may find a beautiful sculpture garden, a lush pond, a picturesque log cabin, or a sturdy converted barn. It’s quiet in the country except for the sound of the clay fired wind chimes, or the crow of a rooster. And of course, there is the art itself. On this pottery tour you’ll find a rich diversity of styles, colors, shapes and sizes that range from the decorative to the utilitarian. You’ll encounter pieces that are worthy of museum lighting, as well as everyday treasures like place settings, serving bowls and mugs that will jazz up a room or any meal. Every potter is an artist with his/her own unique style. Seagrove’s pottery tradition dates back to the 18th century, before the American Revolution, due to the high quality of the local clay. Today it’s known for the high concentration of potters, the unsurpassed artistic talent, and the eclectic mix of people – some with roots eight generations deep and others drawn here from around the world. The following are the potters on the tour: Avery Pottery and Tileworks, Ben Owen Pottery, Blue Hen Pottery, Bulldog Pottery, Chris Luther Pottery, Dean and Martin Pottery, Frank Neef Pottery, From the Ground Up, Great White Oak Pottery, Jugtown Pottery, Luck’s Ware, Old Gap Pottery, Seagrove Stoneware, Studio Touya, and Westmoore Pottery. Don’t miss this unique event or the opportunity to help local kids and their families. And it all happens on Mother’s Day weekend. So spare Mom that tired gift and spend an unforgettable day with her instead! After seeing the bounty, you may never again give a generic store-bought gift. Individual tickets are $45 and Patron tickets are $100, and they include a commemorative pottery piece. Mother’s Day packages are available for $150. The package includes two tickets and several gifts for mom – the commemorative pottery piece filled with chocolates and a bottle of wine. Participants will receive a ticket and program for the event, with a map highlighting all of the participating potteries. Tickets and programs may be picked up at the Resource Center, 130 S. Middleton Street in Robbins, NC, where guests will also have the opportunity to learn more about the programs that the Resource Center offers, or at The North Carolina Pottery Center, 233 East Avenue in Seagrove. The Resource Center will also raffle off four-4 piece place settings of tableware from Dean and Martin Pottery and from Avery Pottery and Tileworks. They will also raffle off a salad set, plus salad bowls from Seagrove Stoneware. Raffle tickets may be purchased separately from tickets to the event, and winners do not have to be present at the drawing. The drawings will take place at 5:30pm at the Resource Center on the day of the event. Raffle tickets for the dinnerware are $10 apiece, and you can designate whether you want to be included in the raffle for the set from Dean and Martin Pottery or Avery Pottery and Tileworks. Tickets for the salad set are $5 apiece, and for the set of six salad bowls tickets are $1 apiece. Pictures of all items to be raffled will be posted on our website in early April. This event is made possible in large part by contributions from St. Josephs of the Pines and Wachovia Wells Fargo. St. Josephs of the Pines has an active presence in northern Moore County, with its Providence Place development in Robbins – lovely one bedroom apartments for seniors, plus it brings its fully equipped Semi to Robbins for two days each month where local residents can be seen by the Moore Free Care Clinic, meet with the Sandhills/Moore Coalition for Human Care and the Benefit Bank, and soon will be able to see dentists free of charge. Wachovia Wells Fargo provided funding to support the financial education classes that the Resource Center offers as part of its IDA program. To purchase raffle tickets or tickets to the event, visit the Resource Center website at (www.nmfrc.com), or send checks payable to the Northern Moore Family Resource Center to P.O. Box 190, Robbins, NC 27325 or call the Resource Center at 910/948-4324. NC Pottery Center in Seagrove, NC, is Looking for Some Angels in a Haystack – Could You Be One? The NC Pottery Center has recently experienced unforeseen maintenance issues and they are asking you as a supporter of the NCPC, or just someone who is looking for a good cause, for your help in paying for lighting repairs at the Center. They hope to raise $2,000 to cover these expenses. They are asking that you please consider a monetary donation, becoming a new member, increasing your membership level, renewing your membership early, or buying a brick for your business or in memory/honor of someone. The staff and board of the Pottery Center are working hard to keep the NCPC a viable museum and hope you will consider helping us. If you can help, please visit their website at (www.ncpotterycenter.org) where you can make a quick online donation, or call then at 336/873-8430 and tell them you want to help. Thanks. Posted in Clay Funding, NC Clay, Seagrove NC Clay | Comments Off on NC Pottery Center in Seagrove, NC, is Looking for Some Angels in a Haystack – Could You Be One? Now that’s something to think about. When you finish scratching your head – I’ll explain. When you have to write about annual events, unlike the organizers who can just slap a number in front of the event’s name – we in the media – the elite media – have to come up with a clever hook. In this case I wish I had one in the kiln – cooking until it was ripe for reading. Unfortunately we’ll have to go with this one. Potters in Seagrove are like the makers of Doritos – you can buy all you want – they’ll just keep making more. And, who can ever have enough pottery – especially the kind they make in Seagrove. When you have near a hundred competitors in a small community like Seagrove, unlike Doritos – you can’t keep cranking out the same old, same old – they’re always producing something different – different shapes, different clays, different glazes, and different patterns. That’s why people keep going back – you want to see what they’re cookin’ up now. The folks in Seagrove talk the talk and walk the walk. They go the extra mile to invite people to come there. They want to be number one and they work hard at it. I don’t wear blinders when I’m looking around the Carolinas. I see what’s going on and there’s no place promoting itself like Seagrove. I’m waiting for some other region to stand up and say – “Hey – what about us?” and then back it up. I’ve been waiting. And like the old gun-slingers of the West – if you want to be number one – you have to be better every time to stay on top. That’s why I’m big on Seagrove and have no problem telling people to go there and saying you won’t be disappointed you did – as far as the pottery goes. Seagrove as a town doesn’t have much to offer (nor does the town I live near), but I’m not telling you to go there for anything but the pottery and some pretty good scenery. And, with very few exceptions – they’re some pretty great people there too, but that’s a story for another day – the exceptions I mean. If you’ve been there – you know what I’m talking about. If you’ve never been there – my gosh – what are you waiting for? If all the stars and planets line up – I might even get to go there for this event. That’s right – another trip to Seagrove. How about you? Editor’s Note: If you think my number of potters don’t match up with those mentioned in the press release, there are potters who don’t participate in all events and those few exceptions I mentioned. Also, one suggestion. 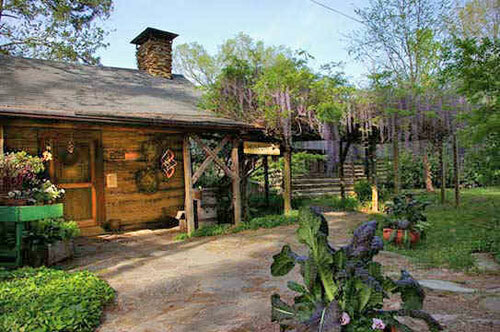 Your best first stop on Saturday could be the NC Pottery Center. They have the scoop on the area and some nice exhibits too. 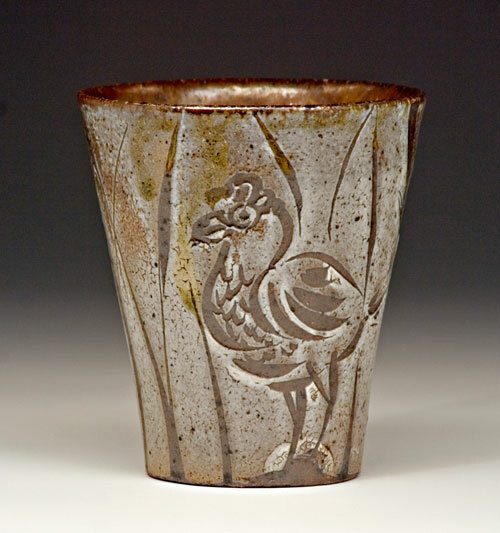 The 4th Annual Celebration of Seagrove Potter’s Spring Kiln Openings will take place in and around Seagrove, NC, on Apr. 21 and 22, 2012. The event features the work of 65 potters representing 36 different potteries. The Seagrove potters’ studios are nestled throughout the countryside – separated by short leisurely drives in and nearby the town of Seagrove. At the various Seagrove potteries there will be special kiln openings and exhibits, new pottery works featured, demonstrations, and refreshments planned for the pottery lover. Pick up a full-color Discover Seagrove map and guide at any of the Seagrove potters’ shops participating in the Spring Celebration. Each shop is celebrating Spring in its own way. Hours may differ from shop to shop. Participating potteries include: Southern Spirits Pottery @ A. Teague Village, Avery Pottery & Tileworks, Ben Owen Pottery, Blue Hen Pottery, BlueStone Pottery, Bulldog Pottery, Caldwell-Hohl Artworks, Chris Luther Pottery, Crystal King Pottery, Dean and Martin Pottery, Dirt Works Pottery, Donna Craven Pottery, Eck McCanless Pottery, Fireshadow Pottery, From the Ground Up Pottery, Great White Oak Gallery, Hickory Hill, JLK Jewelry at Jugtown, Johnston & Gentithes Art Pottery, Jugtown Pottery, Kings Pottery, Lathams Pottery, Luck’s Ware, Lufkin Pottery, McNeill’s Pottery, Michele Hastings & Jeff Brown Pottery, Nichols Pottery, O’Quinn Pottery, Pottery by Frank Neef, Ray Pottery, Seagrove Stoneware, Smith Pottery, Studio Touya, Thomas Pottery, Tom Gray Pottery, and Whynot Pottery. For further info visit the Seagrove Area Potters Association at (http://www.discoverseagrove.com/) or visit (http://www.celebrationofseagrovepotters.com). 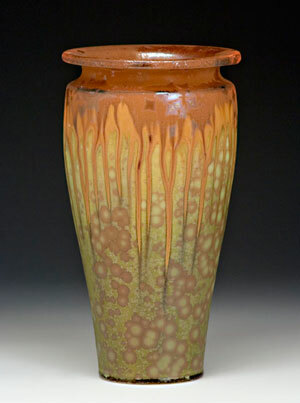 The 15th Annual Catawba Valley Pottery and Antiques Festival will take place at the Hickory Metro Convention Center in Hickory, NC, on March 23 & 24, 2012. It is a non-profit event benefiting the Catawba County Historical Association in Newton, NC, and the North Carolina Pottery Center in Seagrove, NC. To read an earlier post click this link. For further info visit (http://www.catawbavalleypotteryfestival.org/). Once again the North Carolina Pottery Center in Seagrove, NC, is opening its doors and grounds for the education and benefit of the public. On Saturday, Mar. 17, 2012, Seagrove potter Chad Brown will be firing the groundhog kiln on the pottery center lawn. The event takes approximately 15 hours and uses 2 cords of wood. Chad Brown is a 5th generation potter; his great-great grandfather was William Henry Chriscoe, whose original log cabin studio resides in the Smithsonian Museum. Brown is an up-and-coming potter to watch on the Seagrove scene. His grandpa, Graham Chriscoe opened his pottery shop when Chad was around 9. He absorbed a great deal from working with his grandparents. He learned his technical skills in the more traditional Seagrove fashion, working for years as a production potter for many studios. “You make two or three hundred of the same shape and you get pretty good at it,” says Brown. He expanded his skills by working as a journeyman potter, traveling from studio to studio and turning the various shapes required. 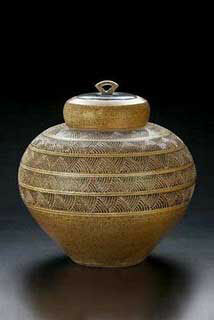 Four years ago Brown began to participate in shows and exhibits while continuing to work as a journeyman potter. “I started to realize that I couldn’t advance further, not enough time. I’d improve then fall back. You get onto a thought and need to stay with it; production pottery was breaking that concentration. I just felt I wasn’t getting as good as I could be.” Brown’s decision to pursue his own pottery full-time was rewarded when he received the “The Award of Excellence” at The Arts in the Park show in Blowing Rock, NC. 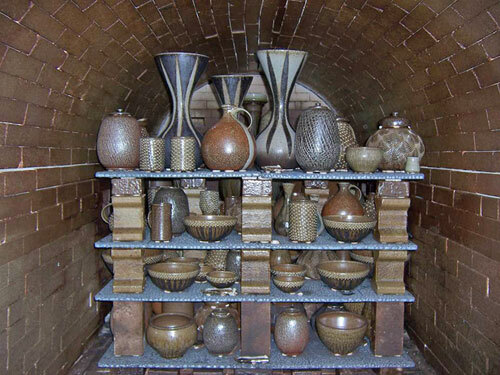 Brown is building a new kiln on his property this year, which will be his own design taking into consideration ideas and information from his firings with other potters and their kilns. Firing the traditional Groundhog Kiln at the North Carolina Pottery Center is not an entirely new experience for Brown. He has helped others in the past but wants to be completely in charge to absorb the complete learning experience of the process and to see what his firing results produce in the kiln. He will then be able to contrast and compare the end product. The pots will be sold at the upcoming Catawba Valley Pottery & Antique show in Hickory, March 23 & 24, 2012, and will also be on display at upcoming exhibits at American Folk in Asheville, NC, and the Campbell House/Moore Arts Council in Southern Pines, NC. The public is welcome to come out to the NCPC on Saturday, Mar. 17 to view the firing and see how the process was done over 200 years ago and still continues today. Opened in 1998 in Seagrove, the NCPC mission is to promote public awareness of North Carolina’s remarkable pottery heritage. The Center welcomes and informs visitors to the Seagrove area, enriching their experience through exhibitions and educational programs, and promoting potters working today across the state. The NCPC is a private nonprofit entity, funded primarily through memberships, grants, admissions, and appropriations. The Center is open Tuesdays – Saturdays 10am to 4pm. Admission (excluding free special events): $2 – adults, $1 – students 9th through 12th grades, Free – children through 8th grade, free – NCPC members. Handicap accessible. Groups and tours welcomed. 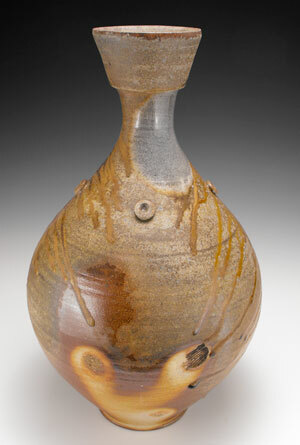 For further information and details call 336/873-8430, e-mail to (info@ncpotterycenter.org) or visit (www.NCPotteryCenter.org). Plan to join us for two special event days complementing our current exhibit: What’s Upstairs? Seeing the NCPC’s Hidden Treasures. A frequent complaint of museum-goers is that much of a museum’s collection of objects and artifacts is stored away out of view and is rarely seen by anyone but staff and qualified researchers. Understandably, museum collections can be vast in size and public exhibition space is often large enough to display only a fraction of an institution’s holdings at any one time. So, for the first time, many objects not previously included in NCPC exhibits have been brought downstairs for visitors’ viewing and enjoyment. In addition, a sample of the Center’s significant collection of art pottery produced by Lee County’s North State Pottery is displayed. In the future, more of the stored objects will be added to the permanent collection exhibit and others will be incorporated into upcoming short term exhibitions. Open for viewing through Apr. 28, 2012, What’s Upstairs? Seeing the NCPC’s Hidden Treasures will be complemented by two special event days on Mar. 10 and Apr. 14 (noon – 2pm each day). In addition to speakers on each day discussing both personal and institutional collection of North Carolina pottery, experts will be available to identify and discuss visitors’ own North Carolina pottery brought in for identification. The NCPC will also release a new color catalog on Mar. 10, of Alamance County Historical Stoneware, highlighting in print the first time a large group of these spectacular pots which haven’t been seen together since they emerged from Alamance County kilns about a hundred and sixty years ago. The text is by potter and curator Mark Hewitt. Both events are open to the public and will be educational and entertaining. The catalogs will be for sale and the curators will be signing catalogs and answering questions. We encourage you to bring in old North Carolina pottery pieces to find out more about them. 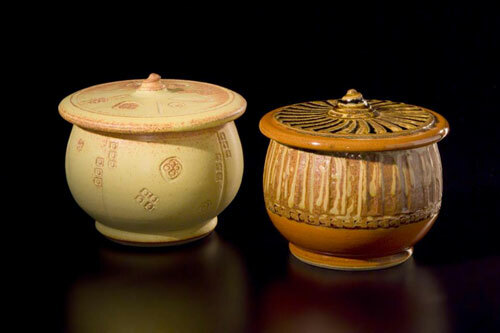 We will also have instructions for donating pottery to the NCPC’S permanent collection, which is a taxable deduction. Light refreshments will be served. The mission of the North Carolina Pottery Center is to promote public awareness of and appreciation for the history, heritage, and ongoing tradition of pottery making in North Carolina. The Center is located at 233 East Avenue in Seagrove, NC. Hours of operation are Tue. – Sat., 10am – 4pm. For more information, please call 336/873-8430 or visit (www.ncpotterycenter.org). Unique canvases created by NC’s premier potters for the first-of-its-kind event at the NC Pottery Center in Seagrove, NC, were auctioned on Saturday, Feb. 4, 2012. “The Potter’s Palette” featured over 90, 12”x12” canvases produced by clay artists from around the state, who were invited to create a canvas using any medium they desired, to be sold in a fund raiser to benefit the NC Pottery Center. The outstanding results raised over $18,000 during the event, which included live Celtic music by Seagrove potter Michael Mahan and an outstanding buffet of food produced by Jennie Lorette Keatts with some help from sister Pam Owens. The palettes are still on display at the NC Pottery Center’s website (www.ncpotterycenter.org). This unusual and new event, brought another level of creativity to the North Carolina Pottery Center, and was a wonderful showcase for a different side of talent that the clay artists in NC have to offer. There was an air of excitement and festivity during the event where bidding went high for the exceptional paintings. The highest bid was $1700 and every palette sold, with over half bringing $100 and much more. Absentee bidding was also available at the Center and on the NCPC website and bidders came nationally from GA to VA, to CO and CA to participate in the event. Virgil Thomas of Able Auctions generously and graciously lent his expertise, while potter’s pictures were described by NCPC Vice-President and notable potter, Mark Hewitt of Pittsboro, NC, and displayed by Seagrove potter Fred Johnston and volunteer Kirk McNaughton. Highlights of the evening included over $14,000 of palette sales, over $4,000 of donations and ticket sales and over 70 registered bidders. 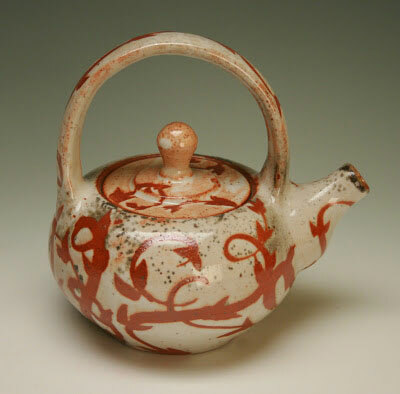 The NC Pottery Center relies on its fundraising activities and membership, to maintain its ongoing exhibitions and educational activities, as the main revenue stream. Supporting potters included: Rita Abee, Colleen Black-Semelka, Cynthia Bringle, John Britt, Tammy Leigh Brooks, Jeff Brown, Chad Brown, Bonnie Burns, Kyle Carpenter, Donna Craven and Susan Greene, Daphne Cruze, Naomi Daglish, Jeffrey Dean, Kim Ellington, Seo Eo, Mary Farrell, Abe Fenberg, Michelle Flowers, Becca Floyd, Carol Gentithes, Terry Gess, Bruce Gholson, Vicki Gill, Beth Gore, Tom Gray, Sue Grier, Michele Hastings, Samantha Henneke, Mark Hewitt, Meredith Heywood, Mary Holmes, Helene Icard, Tonda Jeffcoat, Mary Paul and John Garland, Daniel Johnston, Fred Johnston, Matt Jones, Ann Raven Jorgenson, Jennie Lorette Keatts, Crystal King, Michael Kline, Keith Lambert, Bruce Latham, Janice Latham, Andrew Linton, Dan Lovejoy, Nancy Lovejoy, Levi Mahan, Michael Mahan, Alex Matisse, Eck McCanless, Fiva McCanless, Milly McCanless, Susan McGehee, Karen Mickler, Alexa Modderno, Lynn Morrow, Ben Owen III, LoriAnn Owen, Pam Owens, Travis Owens, Vernon Owens, Hal and Eleanor Pugh, Joseph Sand, Caroleen Sanders, Hitomi Shibata, Takuro Shibata, Paula Smith, Barbara Strassberg, Roy Strassberg, Tom Soumalainen, Bobbie Thomas, Scott Thomas, John Viegland, Kate Waltman, Doc Welty, Dina Wilde-Ramsing, Charlotte Wooten and Jared Zehmer. The evening was supported and sponsored by: The Goodknight Foundation; Lucy C Daniels; Daniel & Genene Uyesato; Martha Luck Johnson; Dr. Terry Zug; Brad Crone; Mark & Carol Hewitt; Ed & Gloria Henneke; Harriet Herring; Ellen Jordan; Dr. Linda Carnes-McNaughton; Janice & GE Gavin; Lane Wharton; Charles W Millard III; Jo M Grimley; Shelton Gorelick; Something Different Restaurant; Peggy Myers; Archie Purcell; Nancy Farmer. Many volunteers stepped forward in their efforts to support the NC Pottery Center helping with check in and registration to the food service and auction. The NC Pottery Center is grateful for the generous support of our sponsors and volunteers, without them our efforts would be lacking! The North Carolina Pottery Center offers educational opportunities to statewide schools and individuals, changing historical and contemporary exhibitions, demonstrations, and information about statewide potters. The NCPC is a private nonprofit entity, funded primarily through memberships, grants, admissions, and appropriations. The NC Pottery Center is open, Tue.-Sat., 10am to 4pm. Admission (excluding free special events): $2 – adults, $1 – students 9th through 12th grades, Free – children through 8th grade, free – NCPC members. The center is handicap accessible and groups and tours are welcomed. In response to our visitors most often asked question, “What’s upstairs?” The North Carolina Pottery Center in Seagrove, NC, is presenting the exhibit, What’s Upstairs?, showing the NCPC’s hidden treasures, on view through Apr. 28, 2012. This was a natural choice for an exhibit as we continue to build our permanent collection of North Carolina pottery. This exhibit, What’s Upstairs? showcases our permanent collection and is part of our campaign to represent the state’s diverse past, present and ongoing pottery as an important state treasure. 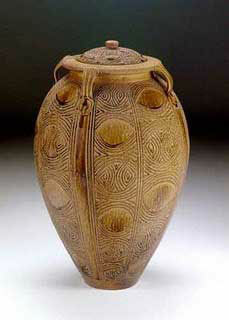 The exhibit will also feature two special lectures with a chance for patrons to also have their NC Pottery identified. The identification and lecture days are Mar. 10 and Apr. 14. Guest speakers to be announced. The North Carolina Pottery Center is the result of years of work by many dedicated individuals who love NC pottery. The award winning building designed by Frank Harmon, utilizes natural light and an interesting use of space. Pottery that is not on exhibit is housed upstairs in open storage that can be seen from the galleries below. In a state known for pottery, the NCPC strives to educate and connect people with potters and pots. Steve C. Compton the curator of What’s Upstairs? is an avid collector of historic North Carolina Pottery. The author of numerous articles related to North Carolina potters and potteries, Compton is also the author of North Carolina Pottery: Earthenware, Stoneware and Fancyware published by Collector Books. Formerly the President of the NCPC board of directors, Compton is also a founding member of the North Carolina Collectors Guild. 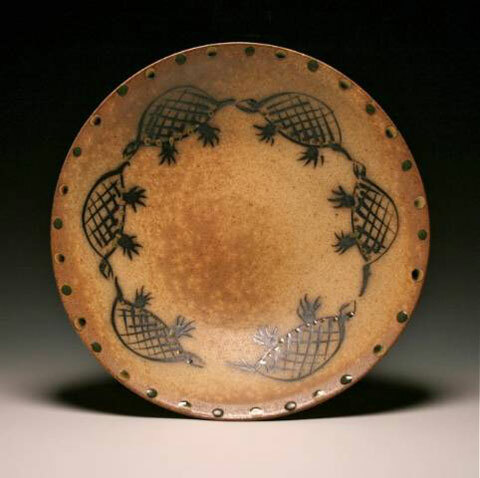 His current work includes research on North Carolina’s early eighteenth and nineteenth century earthenware potters. We have developed our website (www.ncpotterycenter.org) to be used in many ways, through our DIRECTORY OF NC POTTERY AND CLAY ARTISTS; potters throughout the state can submit their information and be easily found by travelers. We connect through cyber space and through exhibitions that cover the state and we are informational and educational as well. If you wish to donate a piece to our permanent collection, please contact the Center. We are also seeking North Carolina pottery pieces for our annual auction, which is our premier fund raiser. All donations are tax deductible as the North Carolina Pottery Center is a 501(c)(3) non profit organization. Exhibitions are made possible through the generosity of our membership, the Mary and Elliott Wood Foundation, The John Wesley and Anna Hodgin Hanes Foundation, and the Goodnight Educational Foundation. This project was supported by the NC Arts Council, a division of the Department of Cultural Resources, with funding from the National Endowment for the Arts. For further information call the Center at 336/873-8430 or visit (www.ncpotterycenter.org).